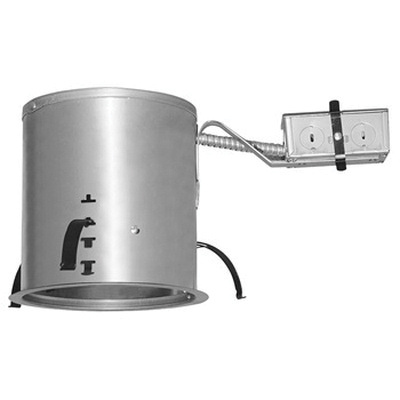 Juno Lighting LED remodel housing has aluminum construction with 6-3/4-Inch cut-out for LED lighting. This housing includes 6-Inch trim to secure LED and light assembly. The housing is voltage rated at 120-Volts. The housing measures 13-3/4-Inch x 7-1/8-Inch. 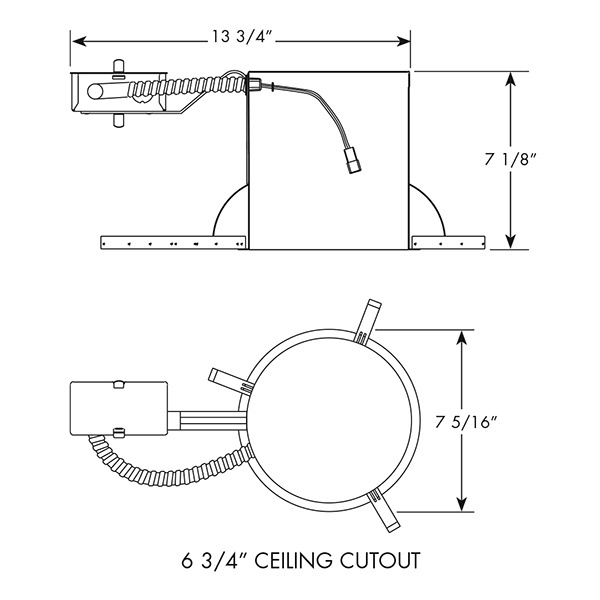 It is ideal to mount on up to 1-3/4-Inch insulated ceiling. The housing installs through an opening in the ceiling from below. It can be secured in place by using factory installed remodel springs. The housing stops exfiltration of air, reducing heating and air cooling costs without the use of additional gaskets. This LED remodel housing is suitable for use with 6RL, J6RLE 600, 900-Lumen series, J6RL (WD), J6RLE (WD) series and 6RLD series basics retrofit downlights. LED remodel housing meets UL/cUL and high efficacy T24 standards. * Inventory displayed is accurate as of 04/18/2019 14:40 PDT.